Carol Off is the host of CBC Radio's As It Happens, the network's flagship evening radio programme covering human interest stories worldwide. With extensive experience in both Canadian and international current affairs, Off has covered conflicts in the Middle East, Haiti, the Balkans and the sub-continent, as well as events in the former Soviet Union, Europe, Asia, the United States and Canada. She reported the fallout from the 9/11 disasters with news features and documentaries from New York, Washington, London, Cairo and Afghanistan. 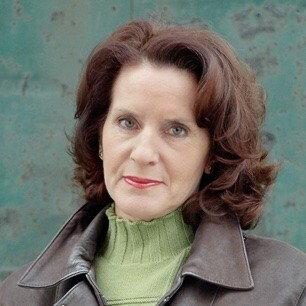 She has won numerous awards for her CBC television documentaries in Asia, Africa and Europe and is the author of three previous books, most recently, Bitter Chocolate: Investigating the Dark Side of the World's Most Seductive Sweet, a finalist for the National Business Book Award and nominated for the prestigious Shaughnessy Cohen Award for Political Writing. She lives in Toronto.